Is your studio a mess? Do you dread setting up shoots because you can’t remember where you put anything? An organized studio simplifies workflow, reassures clients, and allows you to focus on your work without distraction. Below are a few easy ways to keep your workspace organized. Simply allocating a specific location for a particular piece of equipment and sticking to that location will do wonders for efficiency. 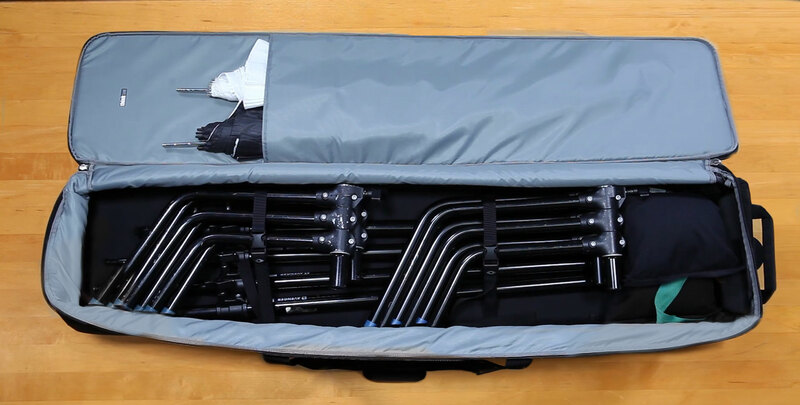 Hard cases are not only for transporting gear. They are a great way to compartmentalize equipment. Cases designed specifically for lights, modifiers, lighting systems, or light stands can also be useful for de-cluttering. Many of the inserts designed for use within cases can function just as well on shelves or drawers. They are especially useful for smaller items that may get lost in the shuffle. Dedicated battery and memory card cases can be a huge help keeping count of your stock. 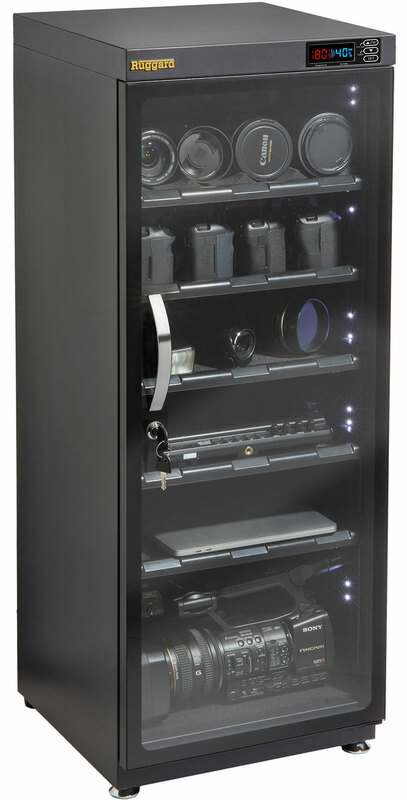 A dry cabinet not only serves as a way to consolidate electronics, but serves the purpose of maintaining environmental conditions and protecting sensitive equipment from dust, hair, and anything else floating around the studio. If you work in a humid environment, dehumidifiers can be added to cases or drawers without needing to purchase an entire cabinet system. 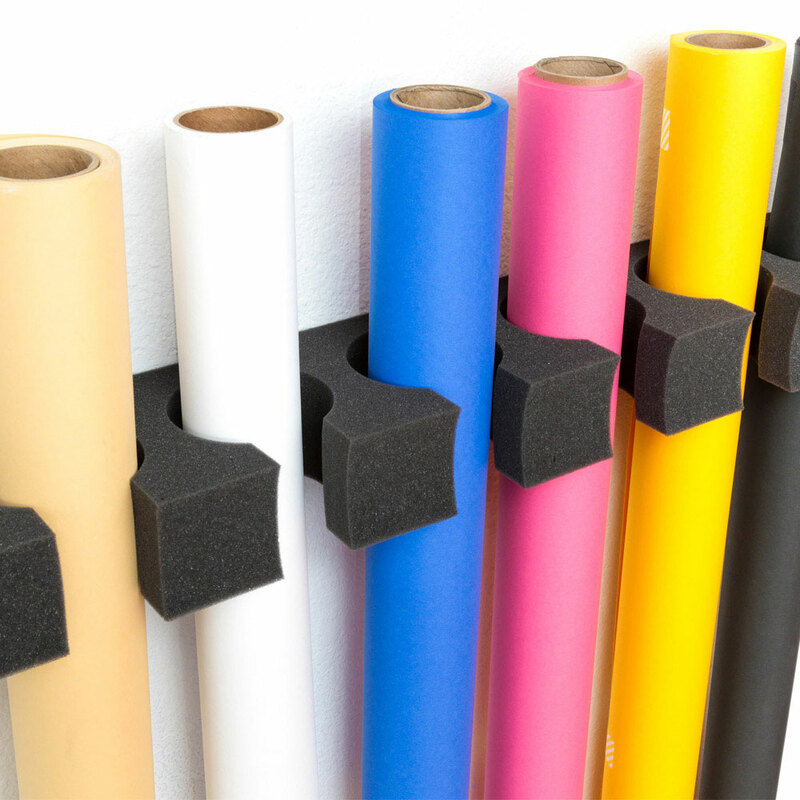 Rolls of background or fabric paper can be nightmare to store. 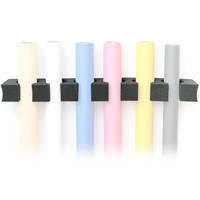 Foam holders can be used to keep seamless rolls lined up in a row. A quick trip to the hardware store could yield a sturdier device if you are feeling handy—or, if you are in a pinch, cutting the cardboard boxes in which your seamless arrives and taping them together with gaffer tape can serve as a quick, albeit not particularly beautiful, DIY solution. Collapsed modifiers can be stored in the cases described above. However, certain beauty dishes and other add-ons cannot be collapsed for storage. This is another instance where the hardware store becomes your friend. You can easily keep loose modifiers out of your way by hanging them up using sturdy hooks used in garages and tool sheds. On a related note, softboxes can be an annoying time drain to set up and tear down. If you have the wall space, they can also hang up and out of the way so that all you need to do is attach them to your light source when you need them. Your “swear jar” will thank you. If you regularly produce prints of your work, archival storage should be a priority. Archival boxes and interleaving papers are industry standard for this purpose. Make sure that anything that your prints touch is of archival quality to ensure the best long-term survival of your work. Finally, flat files serve as invaluable pieces of studio furniture for organizing and protecting large-scale prints. Do you have any studio storage tips? Share them in the Comments section, below!